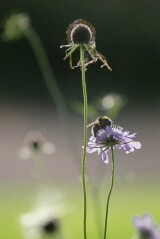 Small scabious is an attractive native perennial growing to 70cm and with a large, pale blue flower head. 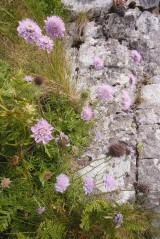 It can be confused with Field scabious but it is shorter, more slender and less hairy. Also the individual flowers that make up the flower head have five not four petal-lobes. 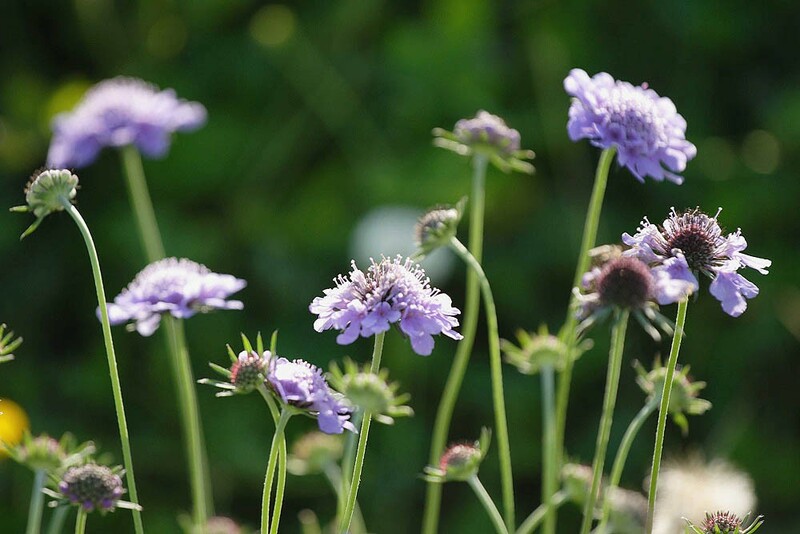 Small scabious flowers from June to October. 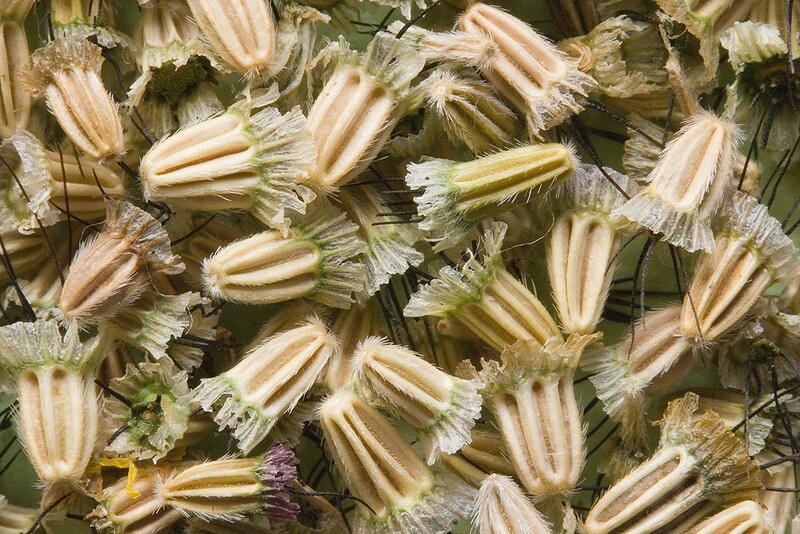 Small scabious is a winter green perennial of dry, relatively infertile, calcareous soils. Habitats include meadows and pastures (particularly sheep grazed down land), embankments and slopes, verges and, more rarely, chalk pits and limestone quarries. It is found in sites where the sward is short and open either as a result of drought stress or disturbance (light gazing, cutting or burning for example). It continues growing further into summer than many species as its deep tap root allows it to exploit ground water unavailable to them. However, because of its relatively low stature and limited ability to spread by vegetative means it cannot survive in tall or productive grassland. 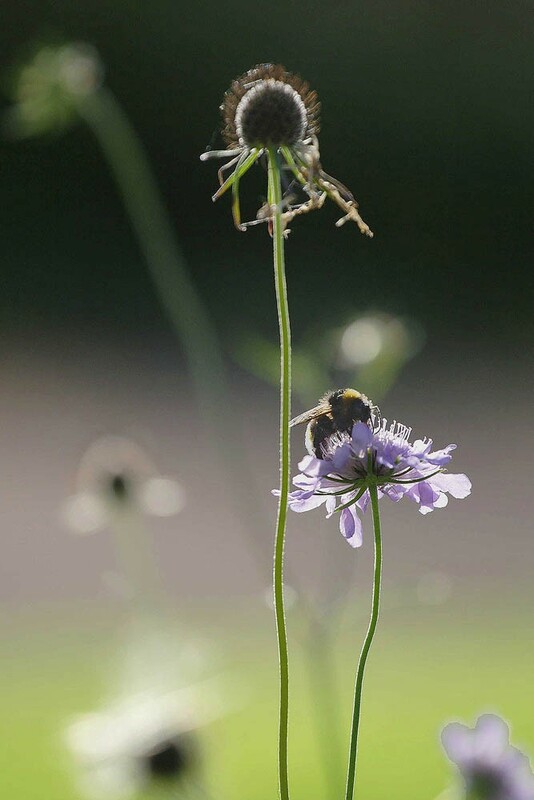 Small scabious is pollinated by a wide range of insects especially bumblebees or butterflies. Best sown in the autumn but can be grown at any time of the year.